Facilitates, manages, or directs administrative activities of the organization, including human resources, budget and planning, governance, program development and oversight, support to the CMS Fund, and external relations. Bill Pelto joined the CMS national staff as the organization’s Executive Director in August 2017, after a twenty-six-year career in higher education. A music theorist by specialty, he held a tenured faculty appointment in the Ithaca College School of Music during the 1990s and served as that school’s Associate Dean from 2000 to 2009. While at Ithaca, he collaborated with Richard Hoffman and John W. White to develop the Takadimi system of rhythm solfege. During the 2004-2005 academic year, he served as an American Council on Education Fellow, including a one-semester residency at Brooklyn College—CUNY and visits to over thirty other colleges and universities throughout the US. In 2009, he moved to Boone, North Carolina, serving as Dean of the Hayes School of Music at Appalachian State University through June 2017. He holds a Bachelor of Arts in Political Science from Yale University, a Master of Arts in Music Theory from San Francisco State University, and a Ph.D. in Music Theory from The University of Texas at Austin. Bill joined The College Music Society in 1990, presented frequently at regional and national CMS meetings during the next decade, and facilitated mock interviews at six consecutive national CMS conferences. Prior to his graduate studies in music theory, Bill served as a research analyst in the State of Alaska Governor’s Office of Budget and Management. An avid hiker, downhill skier, and novice ukulele player, he is a native of Seattle and grew up in Juneau, Alaska. He is married to CMS member, soprano, and choral conductor Linda Larson. Responds to CMS member inquiries, issues notifications and processes new and renewing membership applications, maintains member records, and monitors membership-related materials for up-to-date content. Shannon Devlin has worked in the CMS national office since 1994, including two years as Office Assistant, two years as Receptionist, and the past twenty years as Director of Membership Services. She is a graduate of Missoula’s Hellgate High School, and has other work experience in local food service and entertainment businesses. Shannon is a dedicated runner, mountain biker, and hiker, and she also enjoys horticulture and cooking. Maintains the database of the Directory of Music Faculties in US and Canada and the Music Vacancy List, and coordinates exhibits and sponsorships for the annual national conference. Julie Johnson has worked in the CMS national office since 1994, including a year as Administrative Assistant, two years as Administrative/Collections Assistant, and the past twenty-one years as Director of Information Services. She studied music at The University of Montana in Missoula, and she performs frequently as a collaborative pianist. During the 1991-93 school years, she works as a staff accompanist for the Brownsville (TX) Independent School District. Develops and maintains websites, provides information to CMS members through email and online means, and provides service to constituents wishing to connect with music faculty and administrators through the Professional Notices by Email service. 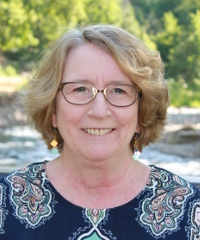 Beth Mast has worked in the CMS national office since 1990, including two years as Administrative Assistant, four years as Director of Database Development, and the past twenty years as Director of Information Delivery/Webmaster. She holds a Bachelor of Music degree in Music Theory from The University of Montana. Past work experience includes four years as a soda jerk at S&L Ice Cream Parlor and four years as Ensembles Librarian and Manager at the Oberlin (OH) College Conservatory of Music. Beth has been married to Paul Mast since 1996. She also enjoys hiking, biking, yoga, singing in choir, and eating yummy things. Maintains accounts and billing activities of the organization. Serves also as receptionist and provides general phone and email communication with members and other constituents. Mary Murk has worked as the CMS national office’s Bookkeeper since 1998. She holds an associate’s degree in accounting from Missoula Tech, and prior to her work with CMS served as office manager of The Country Almanac, a group of home town newspapers in the Bay Area, based in Woodside, California. She is married to Paul Murk, a retired Merchant Marine. Together they like to travel, golf, bowl, and enjoy family and friends. Plans and executes national and international conferences, coordinates professional development workshops, and assists regional chapter leadership with events and governance matters. Peter Park has worked in the CMS national office since 1993, including years as Administrative Assistant, Director of Community Outreach & Engagement, and the past 12 years as Director of Professional Activities. He holds a Bachelor of Music Education degree from The University of Montana. Other professional positions include eighteen years as (Founding) Artistic Director of Dolce Canto and four years as Executive Director of the Missoula International Choral Festival. Peter enjoys cooking, traveling, cycling, hiking, and a nice glass of Pinot Noir or single malt scotch. Just this past May, he wed Susan Tower. Develops, secures, and maintains CMS’s online deployments and staff equipment. David Schafer has worked as the CMS national office’s Director of Information Technology since 2007. He holds a Bachelor of Arts degree from The University of Montana. Past professional experience includes eighteen years of C++ programming on Windows platforms and work on GIS based applications and imaging tools for the OEM market. Dave enjoys technology, cycling, and happy hour with his wife Deanna Schafer.